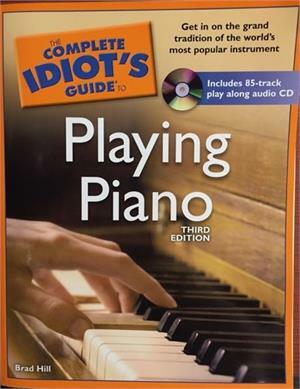 Learn to play the piano with this easy-to-follow guide Ever wanted to play the piano but thought it looked too hard? This book will open the door to your musical side, introducing the basics of playing all variety of pianos and electronic keyboards. Using simple exercises and a sampling of popular songs in a range of styles, this book teaches the beginner who has never played or read music how to do both with proficiency. Witty sidebars and abundant illustrations make this book a fun read and the perfect "user-friendly" reference for the child or adult beginning keyboard player. Z Features examples in all styles of playing, from classical to rock and jazz Z Includes checklists of popular books, instructional material, and piano makers Brad Hill is a well-known music author and keyboardist. His books include The Virtual Musician, Going Digital (Schirmer Books) and Internet for Dummies. As a pianist, he has worked as a lounge player and has made two CDs of his own music, written for film and radio, and has performed as a soloist.